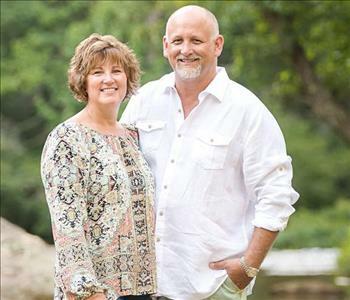 Hi, we’re Kim and Randy Williams, the proud owners of SERVPRO of Burke County. 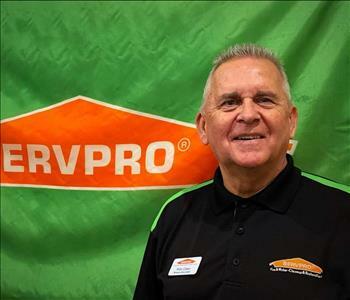 After years in the restoration and cleanup industry, we opened a SERVPRO franchise that served Alexander and Caldwell Counties in 2009, just after the recession hit. While it was a slow start, we took every job and treated our customers with empathy and respect. Because of our success, we were able to acquire Burke County’s franchise in 2011. Today, we have over 50 employees and operate four franchises that serve Alexander, Burke, Caldwell, and Catawba counties. SERVPRO’s mission is to develop a team of quality people who focus on excellent service, fairness and mutual respect. This simple concept has driven our growth and we believe will continue to do so for years. All of our employees are uniformed, highly-trained, and ready to respond to emergencies. We are also a Clean Trust (IICRC) Certified Firm, and all of our Crew Chiefs are Certified Technicians! Because we are part of a nationwide system of qualified franchises, no damage is too large or too small for our team of heroes! Restoring property is our first priority. We offer a wide range of services to our communities with a 98% satisfaction rate from surveys conducted with our customers. Our local services include, but are not limited to: commercial and residential fire, smoke and soot damage, water restoration, mold mitigation and remediation, biohazard cleanup, deodorizing and much more. In the last few years, we have performed fire damage cleanup and restoration and/or water damage mitigation for Lees-McRae College in Banner Elk, Bethlehem Baptist Church, Valley Hills Mall, South Park Mall-Charlotte, Hildebran town hall and Bernhardt Furniture in Lenoir. 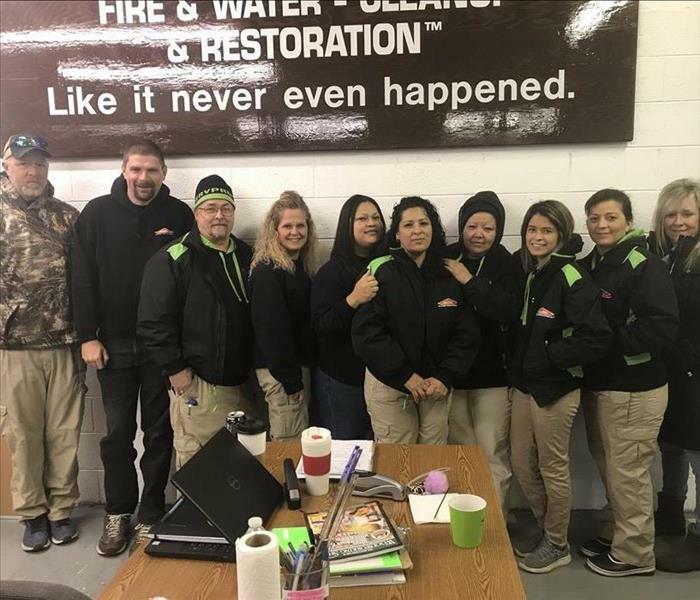 We are also certified as an LLRT (large loss restoration team) through SERVPRO corporate and have deployed teams to disasters such as Superstorm Sandy, the floods of Chicago and the recent devastation our east coast by Hurricane Florence. We are a preferred vendor for large insurance companies and participate by invitation in structured vendor programs and contracts. We operate an on-site textile cleaning facility and warehouse for recovering damaged items from fire and smoke damage. The cleaning room has commercial washers, dryers, and an Esporta cleaning system (capable or restoring over 85% of items previously considered non-restorable). We also have ultrasonic equipment, an ozone room and a heated drying chamber to properly dry materials. The ultrasonic allows us to clean items that previously would have been claimed unsalvageable! We serve our community beyond our cleanup and restoration services; in fact, we encourage our employees to become involved in community activities and groups. We are active participants in community events such as the NC Fire and Safety Bowl competition, local festivals and parades. We support and participate in local causes that benefit schools, first responders and charitable community organizations. We also strive to educate our clients and customers through CE classes offered quarterly at no cost, as well as “lunch and learns” periodically to increase knowledge of services offered.